Fat City introduce their new signings, The Darkhouse Family, hailing from Barry and Cardiff in south Wales. Their opening statement is a red-eyed blend of 80s space boogie synths and heavy bumpin' kick/snare combos, while 'Number 43' beams Roy Ayers styled synth chords and low-cut 808s with a badass switch-up mid-way. 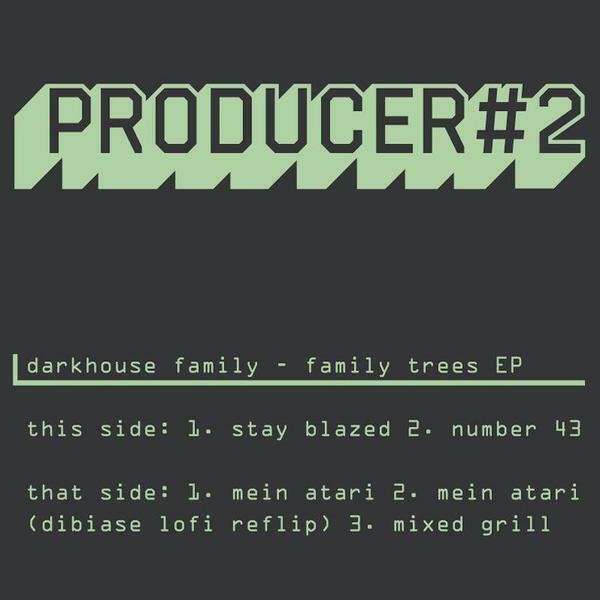 'Mein Atari' rolls with vintage bleeps and bulbous bass, also flipped into ghetto-baroque shapes by Mr Dibiase. Fans of Slugabed, Dabrye or Devonwho should check!